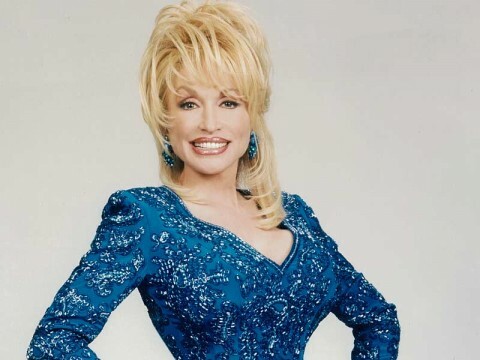 A promotional photo of Parton from the subsequent 1996 pilot "Mindin' My Own Business." No known images from this show have been released. Heavens to Betsy is a lost 1994 sitcom starring Dolly Parton as Betsy Baxter, a Las Vegas lounge singer who returns home to Tennessee following a near-death experience. There's some conflicting information about the show. According to IMDb, Betsy had died and was trying to earn her wings to get into Heaven (it's been alleged that the story was reworked as the 1996 film Unlikely Angel). There's also a notably strange 2003 report from CMT which states that a series by the same name starring Parton was forthcoming, with her appearing as a psychic R&B singer. The series also starred Connie Ray as Lily Walker, Betsy's sister; Connie Schulman as Donna, her best friend; Boyd Gaines as Reverend Tommy Rockwood; O'Neal Compton as a coffee shop owner; Doug Sheehan as the sheriff; and Elisabeth Harnois as Angeline, a youngster befriended by Betsy. Six episodes were shot in Florida in 1994 with an intent to air at midseason in early 1995, but the show was plagued with production problems and wound up being permanently shelved. Parton made another foray into sitcoms in 1996 with the pilot Mindin My Own Business, but that also never saw the light of day. A VHS tape with "almost four shows, bloopers, and retakes" was once listed on eBay, but the tape has yet to resurface in fandom.